SUNY New Paltz hosted a gathering of its veteran, military and dependent community for a third annual Veterans Day Dining In ceremony at the College Terrace on Nov. 11. Nearly 100 students, faculty, staff, friends, family members and supporters came together to pay tribute to the courage and sacrifice of America’s armed forces, and enjoy one another’s good company. “Events like this put us all in a room together and help us create a campus family,” said Jason Gilliland, coordinator of veteran and military services and a service member and veteran of nearly 20 years. This year’s program featured two keynote addresses, from Staff Sergeant Samuel L. Davies ’16 (Marketing), who will soon graduate from New Paltz, and Assistant Professor Emeritus of Black Studies Zelbert Moore, an Army veteran. Staff Sergeant Davies focused his remarks on the meaning of Veterans Day, both in his personal experience and in the broader cultural context. Moore shared personal anecdotes from his military experience, and offered insights into how the military community has grown at SUNY New Paltz, recently named a G.I. Jobs Military Friendly® school, in recent years. The Veterans Day Dining-In event culminated with a traditional POW-MIA dinner table ceremony. 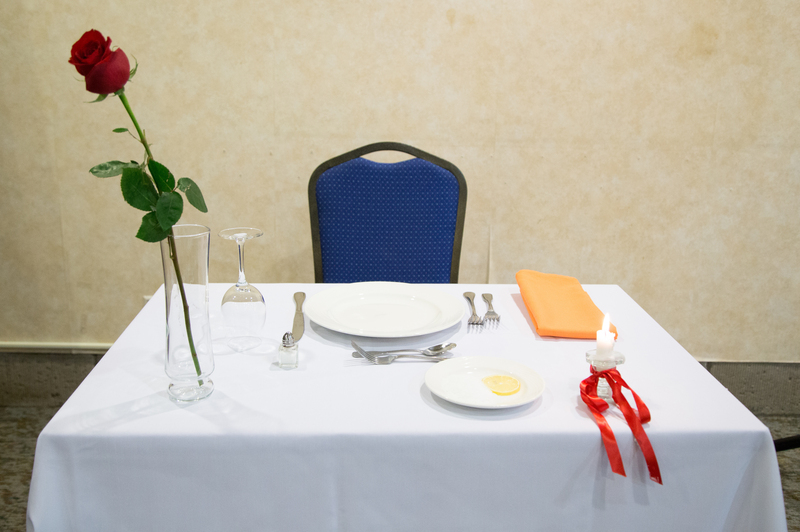 A single-seat table was positioned at the front and center of the room, with an empty chair symbolizing the missing servicemen and servicewomen who were not able to join in the dinner, but who are never far from the thoughts of their fellow veterans, families and citizens. 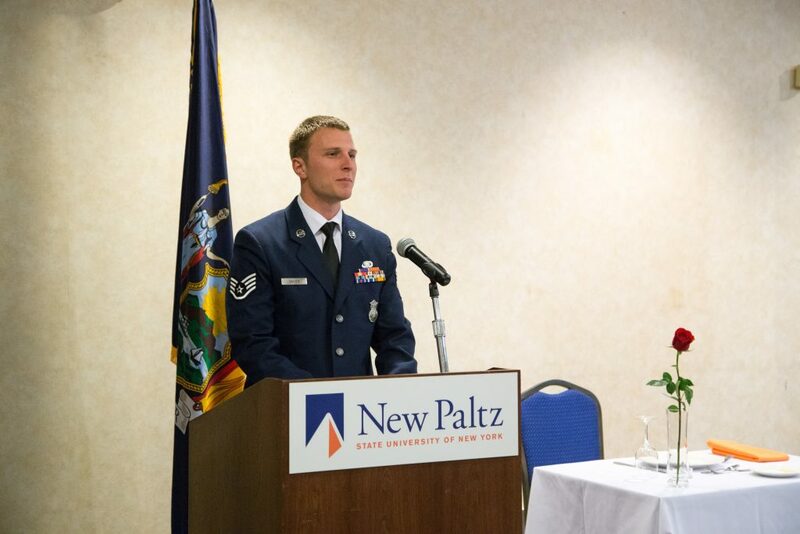 More information about Veterans & Military Services at SUNY New Paltz is available online.